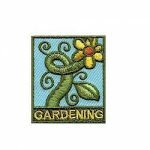 With the Garden Adventure Badge in a Bag® from MakingFriends®.com your troop can complete the Daisy Flower Garden JOURNEY* for less than $1 per girl per meeting! 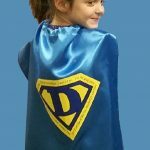 With the Superhero Flower Garden Adventure Download from MakingFriends®.com, your troop will complete their “Welcome to the Daisy Flower Garden” JOURNEY* and all ten petals in six fun, easy meetings you and your girls will love. 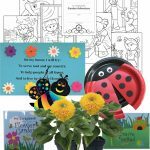 Complete this fourteen-page comic download from MakingFriends®.com and do a garden project and your girls have earned their “Welcome to the Daisy Flower Garden” JOURNEY*. Earth Day is a perfect time to reflect about what you are doing to help protect the environment. 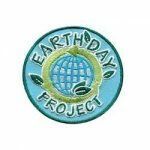 Plan a project to protect the earth! An awesome patch for a great trip! A visit to a plant nursery can be a fun part of many different badges and JOURNEYS*. If your Girl Scout* is doing a service project involving creating a garden, they will certainly want to meet with experts to find out what plants will work best for the garden they will be creating. Iron on! 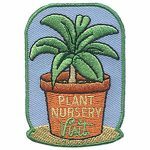 Embroidered patch 1.75″ high x 1.5″ wide. Spring planting, Summer gardening and Fall picking are all great opportunities to learn about nature and where our food comes from. Have your group set up a small garden to experience the wonders of growing your own food. 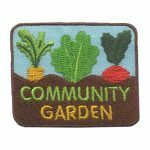 You can make the “Gardening” Patch a sign that your group knows how.